#4 at North Freedom, c.1993. #4 was built in January 1943 by General Electric of Schenectady, New York for the U.S. Navy. 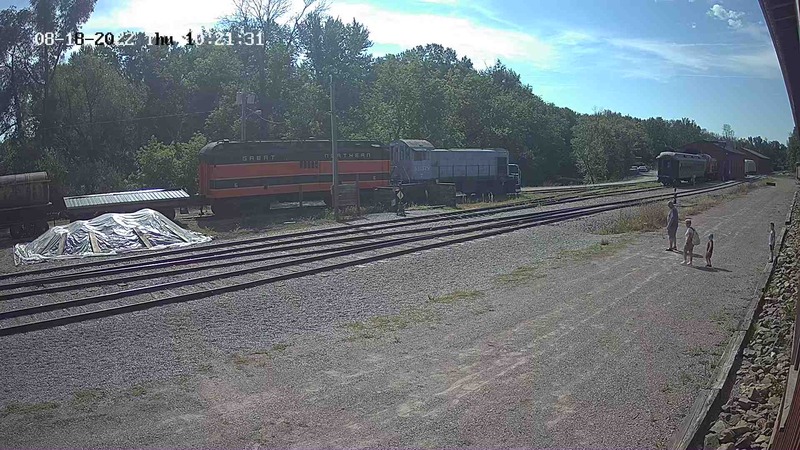 The locomotive is powered by two Cummins model NH150 diesel engines developing 300 horsepower. Each engine powers a GE generator, each generator powers one motor on each truck; the two axles are connected by side rods. 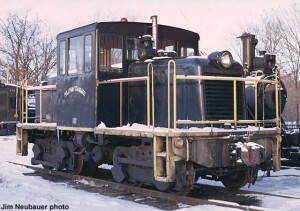 The locomotive is equipped with 14EL brakes, and weighs 45 tons on the drivers. #4 at North Freedom, January 1973. Dealer Precision Engineering purchased #4 from the Navy at an known date, and the engine was subsequently sold to car builder Pullman-Standard. #4 was donated to Mid-Continent in 1972. 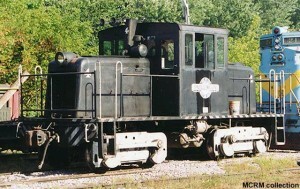 #4 is used as a shop switcher, to move dead engines in and out of the shop. It also performs all switching during the winter months, as the cooling water is anti-freezed, and the two engines are equipped with block heaters. 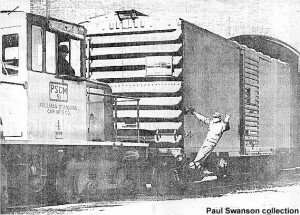 #4 is known as “The GE” to Mid-Continent crews.